Aquaculture of Texas, Inc founded in 1986, is the only USA hatchery which operates year round. Small orders are welcomed. Advanced ordering is needed, Book your order Now. Your shrimp can be Air shipped via Delta, Southwest Airlines or over night by UPS or FedEx. Shrimp can also be picked-up at the hatchery. We apologize for not being able to provide pricing online. Actual delivered prices can vary significantly depending on your location, quantity and size of animals. Costs also vary depending on shipping method (UPS, airlines or live-hauled deliveries), but we always strive to give you the lowest price and least expensive shipping charge. 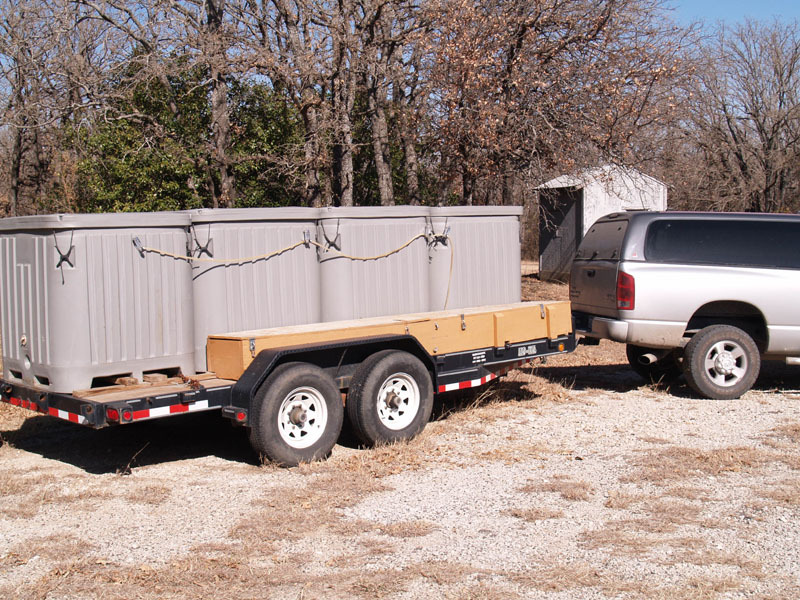 Aquaculture of Texas has its own live haul rig and can deliver your order. Larger orders are delivered for FREE. Organize your area farmers together for bulk pricing and free delivery. Aquaculture of Texas, Inc. has also developed the “Regional Nursery ™” concept. Regional nurseries can supply you with Juveniles, and local knowledge for growing and marketing your shrimp. We have nurseries in Texas, Illinois, Virginia, Ohio, Kentucky, North Carolina, South Carolina, Florida, Georgia and Missouri. Call for local phone numbers. If you are interested in becoming a “Regional Nursery™”, please contact me. Non-refundable deposits must be made at the time of order, and full payment before order is shipped. Prices are FOB Aquaculture of Texas, Inc. Additional charges for Airport delivery may apply. Bag Charge $5.00 Per Bag, includes double bag and Styrofoam insulated box. Double Boxes $10.00. Availability and prices subject to change without notice. All orders must be picked up within 2 hours of arrival. If there is any problem with the shipment Aquaculture of Texas, Inc., must be notified within 6 hours of arrival. No refunds. All dead animals must be returned for replacement, subject to availability. All shipping cost and bag charges will be paid for by recipient, including shipping and bag charges for replacement orders. All claims due to Airline delays or damage must be filed with that Airline; Aquaculture of Texas, Inc. will not assume any liability.